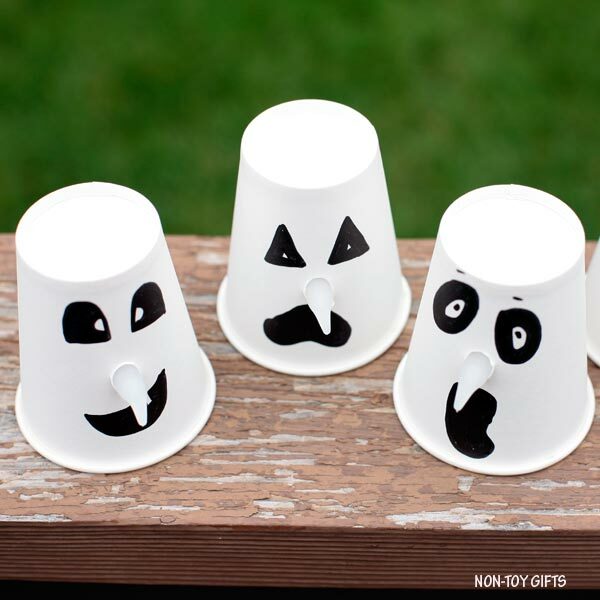 These paper cup ghosts may be our easiest Halloween craft ever. 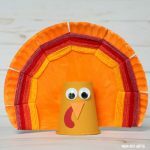 We are committed to creating easy crafts for kids and this one makes the top. 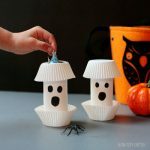 It only requires 3 materials and it’s done in two simple steps. No prep work. Perfect for toddlers and older kids. 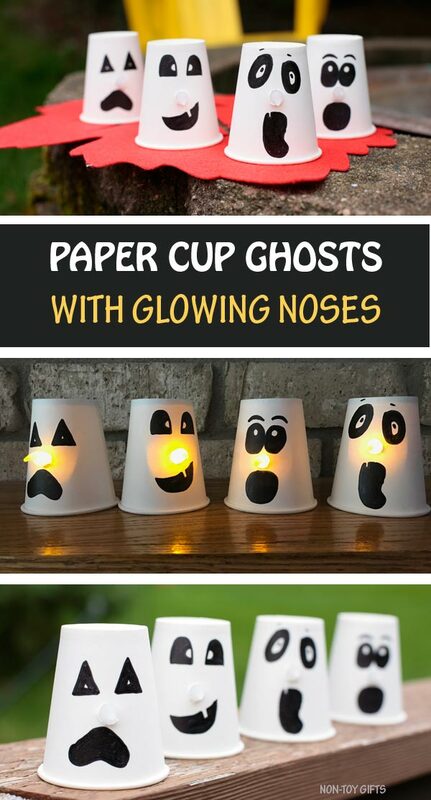 We’ve been obsessed with Halloween characters with glowing noses this Halloween. 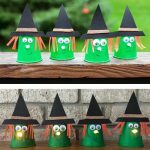 We’ve created witches and Jack’O’Lanterns so far and plan on making some more. 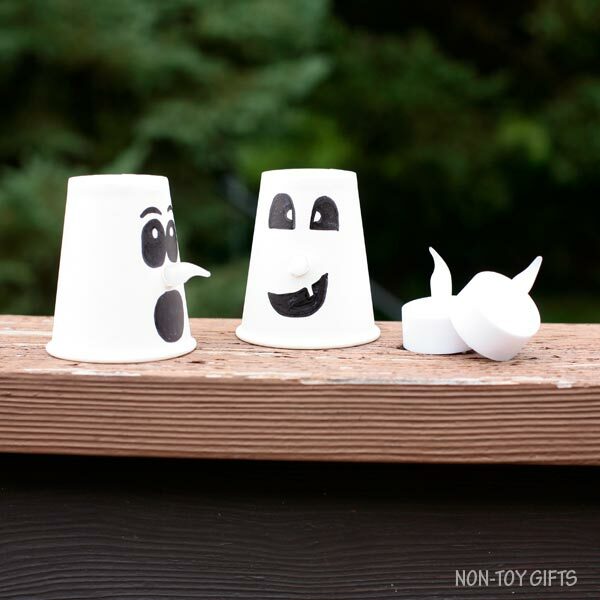 While the first ones need painting and gluing, our paper cup ghosts can be ready in literally five minutes. 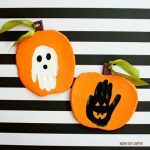 If you are a teacher, you can make them with your students. 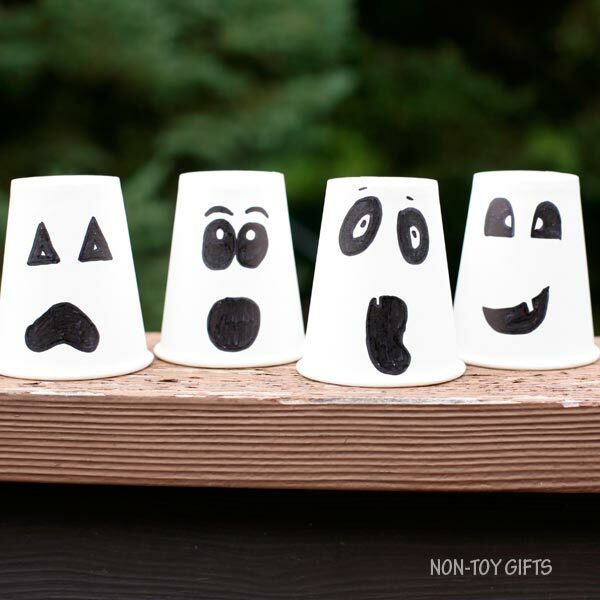 It will be nice to have your classroom decorated with silly, scary or funny looking ghosts. 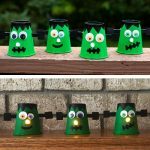 We plan on adding Frankenstein and vampires to out collection. So come back to see those, too. 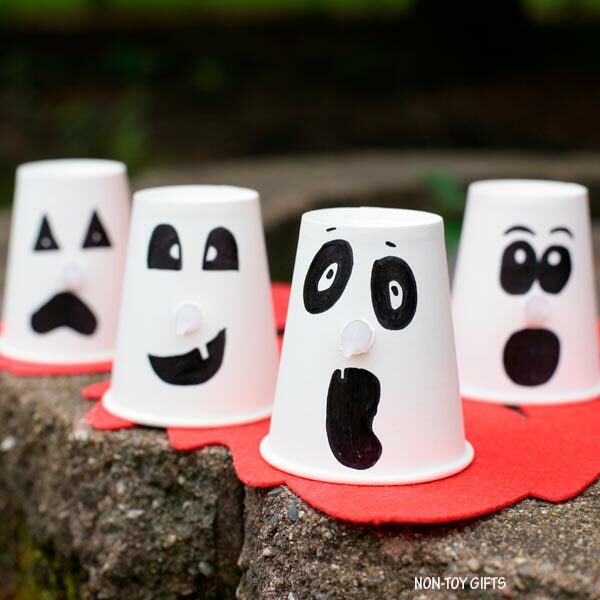 Start by drawing eyes and mouths on the white paper cups. 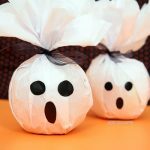 You can make your ghosts look scary, silly or funny. Don’t draw the eyes too close to the mouth. Leave some room for the nose. 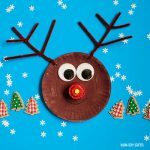 Use a pencil to poke a little hole right between the eyes and the mouth, in the middle of the paper plate. 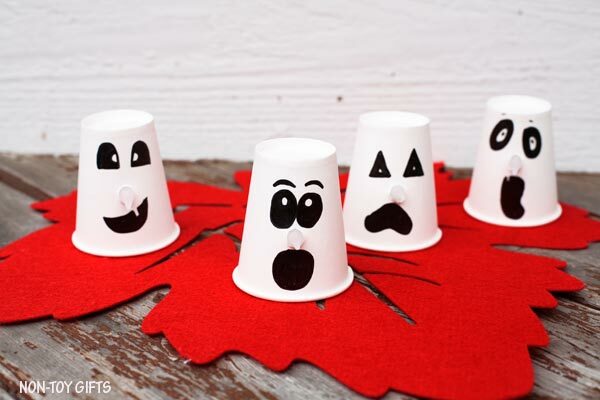 Slide a flameless tea light through the hole, from the inside the paper cup. I told you it’s super easy. 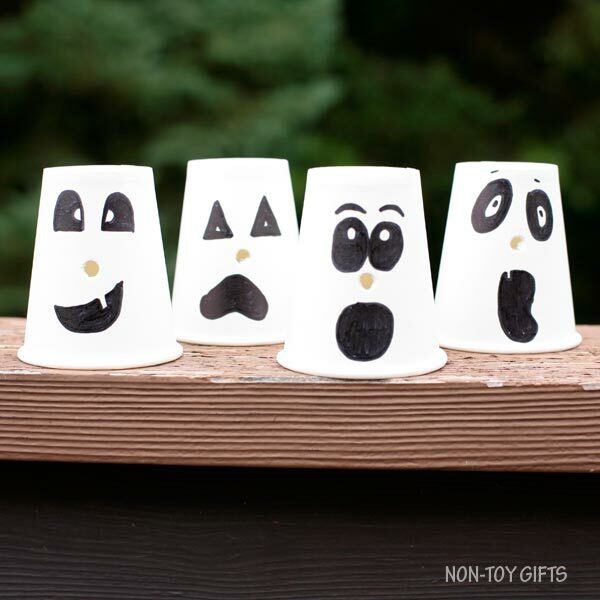 Now you can turn the candle on and enjoy your cute paper cup ghosts! 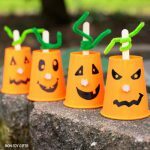 If you don’t have paper cups at hand, you can replace them with paper rolls.